The first book I want to talk about is a little different. 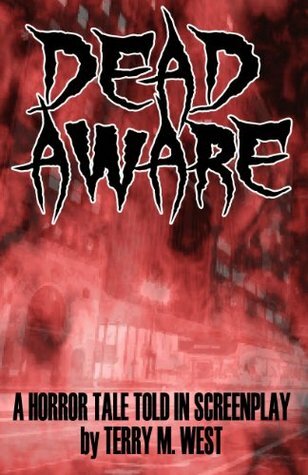 Dead Aware by Terry M. West is a horror story told in screenplay format. This book is about a private investigator that can talk to the dead. He sees what awaits in the afterlife and it’s not pretty, you could say its driving him insane. The P.I. named Dunlavey was messing with occult magic he didn’t understand and now his third eye is open and can’t be closed. In special cases the police use him to solve crimes and now a killer is exterminating victims and stuffing them with straw. Dunlavey may be the only one that can stop him. The killer also has his sights set on Dunlavey and has his own powers that may end Dunlavey’s nightmarish existence and bring death to everyone he loves. ~ by Sumiko Saulson on July 18, 2014.